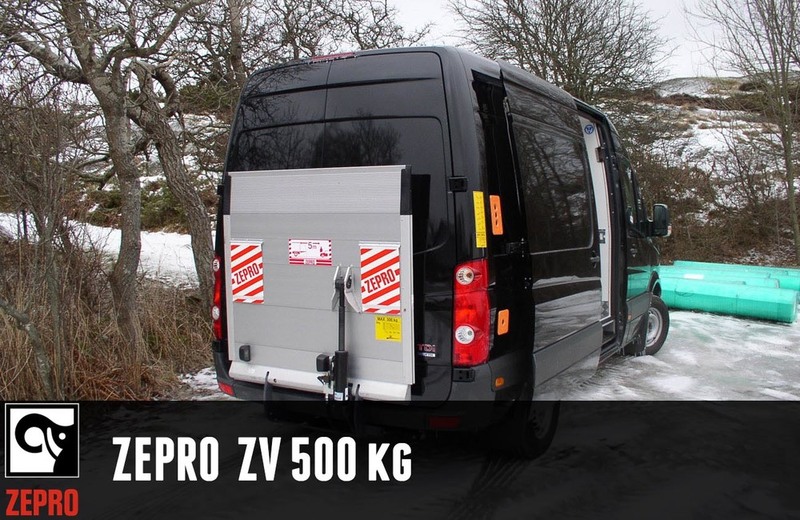 The ZV 50 has 2 lift cylinders for maximum load stability and a tilt cylinder hosed vertically in the stowed position. The platform is made of light but robust, aluminium profiles to keep the total weight as low as possible to optimize the vehicle’s loading capacity and minimize the fuel consumption. The maximum lifting height is 900 mm.